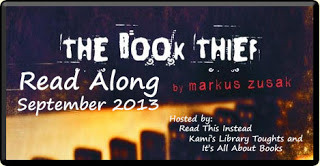 I was so excited to see Book-alicious Mama post that she had joined in a read along of The Book Thief, ahead of the November release of the much anticipated movie! I went to see the write up at It’s All About Books, and decided to join in too. Go on over there and check out all the links! We read parts 1-3 and our first discussion began yesterday. Here are the questions from Suey at It’s All About Books. 1. What’s your first impression of Death as a character/narrator? 2. What’s your first impression of the unique writing style? 3. Which character stands out to you the most so far and why? 4. What do you think the author is trying to say about the power of words? 5. How do you feel about all the foreshadowing that’s going on? 6. Also, how do you feel about all that German swearing?!? 7. What do you think about the relationship between Hans and Rosa? 8. What do you think about the relationship between Rudy and Liesel? 9. What are your feelings on the politics of the time that we’ve seen so far? 10. What images and/or symbols stand out for you in this story so far? 3. Obviously, Liesel is an amazing character, but I think Hans is an my favorite character. He is so loving and kind. 4. I think the author is telling us that words are the most powerful thing in the world. They can heal, and they can kill. When Liesel thinks of her father, she only hears the word Kommunist- when she finally realizes what the word means, and all it implies, she is devastated. 5. I think the foreshadowing is really a wonderful part of the story, since Death is telling it from memory, therefore he knows exactly all that occurs. When he refers to something that will happen, I am itching to rush ahead and find out what happened. 6. Ah, the German Swearing-honsetly I love it. I speak German (or at least I used to back in high school-I was even an exchange student to Cologne) so I enjoy the parts that are in German. 7. I think their relationship is actually a lot closer than we realize. 8. Rudy and Liesel-what a great relationship. he has the loveliest crush on her, and I think she loves him and just doesn’t know it. Even better, they are best friends! 9. I think we are given a compelling glimpse into Nazi Germany from the point of view of many different people. It shows how divided the people were, just as the Huberman family is. We see how powerless regular German citizens were against the Nazi party. 10. Obviously-books. Especially Liesel walking away from the bonfire with the burning book up against her chest. Colors-the way Death describes the colors he sees. Thanks for the great questions Suey. 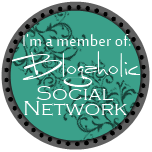 Stop by It’s All About Books and see some other thoughts!! ← Please make this book into a movie! Really? “Words can heal and they can kill.” I love that! Perfect way to sum it up! Hans is a great character! I also love love LOVE Rudy and Liesel’s friendship. So cute. I hate when that happens- my kids went back to school-finally-so my days should be opening up a little. I’m so glad to be reading this book with everyone! 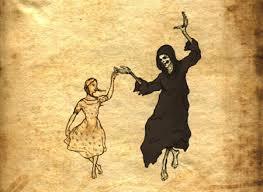 I really like the idea of Death as a narrator. Super unique! Great answers! I really liked your take on words and the relationships! Do you mind if I quote a couple of your articles as long as I provide credit and sources back to your weblog? certainly benefit from some of the information you present here.